Name the Indian semi-classical form of music that is sung at a fast tempo and are primarily songs of nature. Name the temple built by Rani Rashmoni that is dedicated to Goddess Kali in the year 1855. Name the international sporting event where only hearing impaired athlets can compete ? Who was the first tourist in Space ? What was the full name of Dev Anand ? 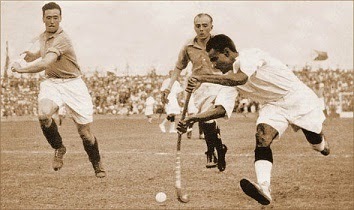 Which Indian Hockey player was known as “the Wizard” ? He helped win Olympic gold for hockey in 1928, 1932 and 1936 ? Which principal muscle is used in respiration that separates the chest from the abdominal cavity ? Of which sporting event are Springboard and Platform two major events ? What is the formal training place where martial arts is taught or practiced called ? Who was the second President of India ? Who founded the Bharatiya Janata Party ? The oldest and largest cricket ground is in Kolkata. Name it ? Which city is known as “The Gift of Nile” ? What are negatively charged particles inside an atom called ? Who was the first modern woman doctor ? What does the word “Karate” means ? What are species of plants and animals native to a particular area called ? Who propounded that an atom has a small nucleus with even smaller particles called electrons orbiting the nucleus ? What is the expanded form of EEC ?